The weather cooperated enough with my schedule so I could get in some outdoor time. I did a little weeding, but I have a lot more yard work to do. 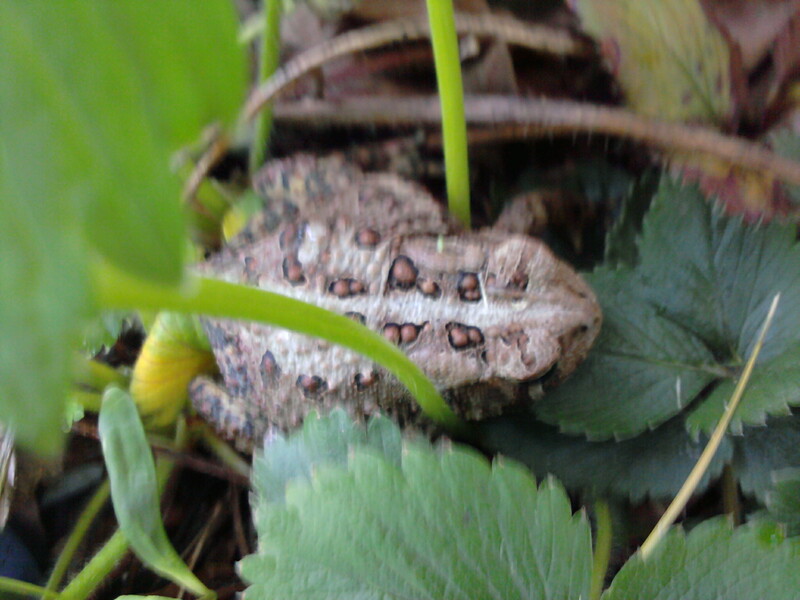 I found this "Toady Treasure" while weeding. I relocated him to my strawberry patch this morning. My writing has slowed down recently, but it’s not because I’m blocked. The weather is warming up, the days are getting longer, and I don’t want to miss the season. Spring is short here in Michigan! I’m spending time with friends and family. I’ve been enjoying life. As long as I write a little bit everyday, I know I’m progressing along, just not at the pace I set for myself during the dark winter months. I agree, I think more writing gets done when the weather is bad because there are less social obligations. When it;s nice out everyone wants to go camping/fishing/picnicking/bbqing/etc/etc. and that takes up a lot of time.